Pinstripe Marketing developed a channel marketing campaign to help Trend Micro launch their new Worry-Free Security suite at CMPXChange 08 in Dallas. The event is the largest IT channel event of the year, attracting more than 1000 reseller attendees. 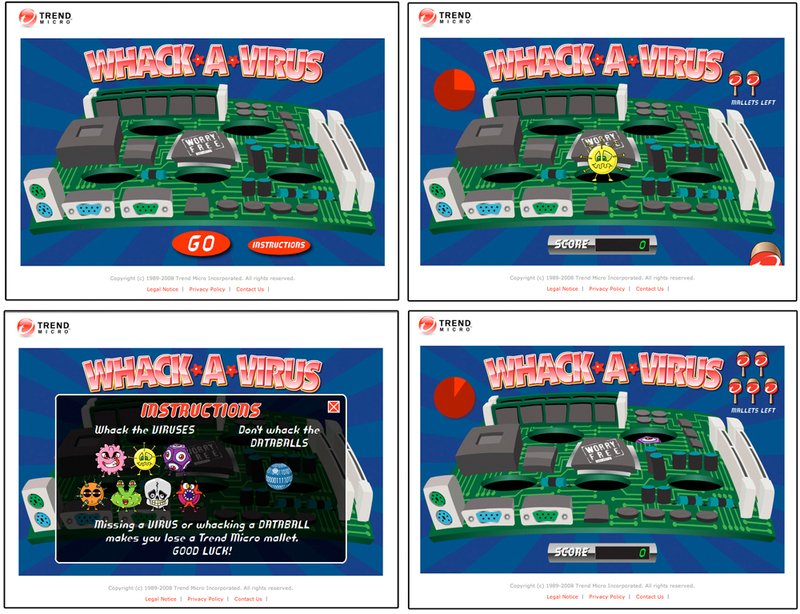 The cornerstone of the campaign was the development of a computer game, Whack-a-Virus, where participants were encouraged to visit the Trend Micro demo room to play the game, learn about the new products, and register for prizes. The game is now featured on www.IAmWorryFree.com, a micro-site developed for Trend Micro by Pinstripe. The site and game will be utilized by Trend Micro reseller partners to help promote the products to their sales representatives and end-user customers.